The Budget Host Inn Motel is located only a short walk away from the prime outlet shopping mall and many near by restaurants. Also enjoy our Mexican Restaurant on location. The Budget Host Inn is a one floor, outside corridor motel offering 30 guest rooms with Free wireless High Speed Internet, Free continental Breakfast, seasonal outdoor pool, At door parking, picnic area, Free local calls & Free daily newspaper. All guest rooms offer Cable TV, Fridge & microwave, Hairdryer, Phone & standard amenities. The Budget Host Inn Niagara Falls, New York Motel is located only minutes away from the American Falls, Cave of the Winds, Maid of the Mist, Darien Lake Theme Park, and the Seneca Niagara Casino. 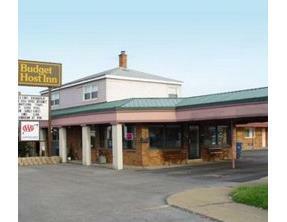 This Niagara Falls USA Motel is only a short walk to the Prime Outlet Mall and the Niagara Falls International Airport. This AAA/CAA Approved 30 unit motel features free parking directly outside the rooms, an outdoor pool, on-site restaurant at La Galera Mexican Restaurant, picnic area and coin laundry. Each of the 30 rooms at the Budget Host Inn provide guests with a microwave, mini-fridge, individual climate control, hair dryer, complimentary continental breakfast. free high speed internet, cable television and direct dial phones.